The distillery map featured in BBC documentary Scotch! The Story of Whisky, has raised over £4,000 for charity following a silent auction. The winning bid of £4,050 came from The Scotch Whisky Experience in Edinburgh, which will use the map to enhance its visitors’ experience. The giant map, which features the location of every operational distillery in Scotland with a small light bulb, was made specifically for the hit BBC Two Scotland documentary, which aired in October. 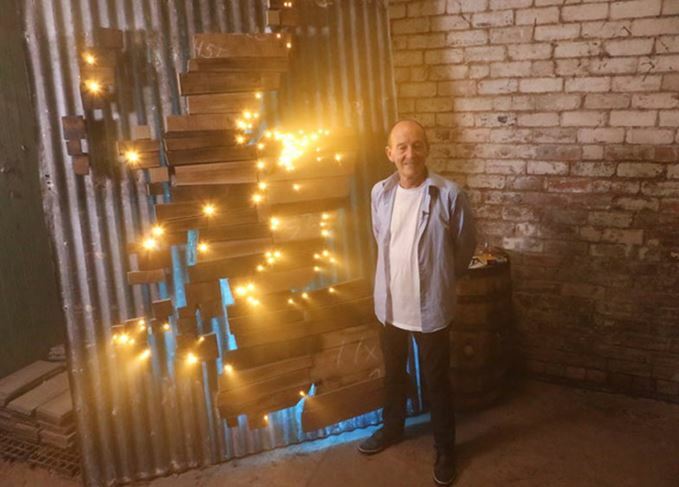 Made from corrugated iron and whisky cask staves, the giant map was auctioned to raise funds for Spirit Aid, a humanitarian relief organisation founded by Scottish actor David Hayman, who also fronted the television series. Julie Trevisan-Hunter, head of marketing at the Scotch Whisky Experience, said the map is a perfect addition to the visitor attraction. She said: ‘The opportunity comes at an ideal time as we are busy working on a new and exciting project including the development of parts of the building which have previously not been open to the public. The content, style and character of the map will be a fabulous addition to the visitor experience. Based in Glasgow, Spirit Aid is dedicated to assisting young people and children whose lives have been affected by war, poverty, lack of opportunity or humanitarian crisis, and is currently running programmes in Palestine, Afghanistan, Malawi and Scotland. The silent auction, which ran from 7-20 November, attracted many bids from bars, distilleries, visitor attractions and private individuals around the world. Artist Kevin Sheehan took over 120 hours to sketch a map of Scotland’s whisky distilleries.